The scale of the economic, social, and environmental challenges we currently face lead all socially responsible actors to ask: “what is my role and share of responsibility?” Nowadays, the private sector, and particularly large corporations, acknowledge their ability to play a key role in reducing poverty, economic insecurity and exclusion, and in achieving the Sustainable Development Goals (SDGs). But what are the means of action they put into practice? With this survey, Convergences puts the light on the strategies and impact initiatives of the major French companies and aims to show the potential of the private sector in promoting development, and in the fight against poverty, social insecurity, and exclusion. The objective is also to foster the development and strengthening of social business activities among corporations and to inspire others into developing new social businesses. 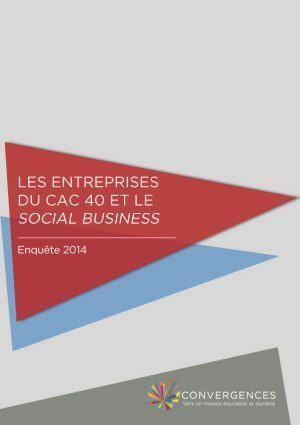 In 2015, the 1st edition of the “CAC 40 companies & Social business” survey highlighted the wide range of approaches from companies towards Social business. In 2017, Convergences releases a 2nd edition of the survey focusing on impact measurement, which is a key factor for the efficiency and performance of Social business projects. Impact measurement is an essential follow-up tool for the strategic development and continuity of social business activities, but not only. It is also a key accountability and transparency tool allowing trust between stakeholders. With this 2nd edition of the Survey, Convergences keeps on highlighting the best practices and impact-driven initiatives of big corporations, in order to encourage their development and give an incentive to other companies to start social business activities. For this 2nd edition, 15 companies accepted to share their social business projects and strategies. The survey shows that there are two main type of social business initiatives : initiatives targetting the inclusion of BoP (Bottom of Pyramid) populations and the initiatives targetting social enterprises through strategic, technical and/or financial support. 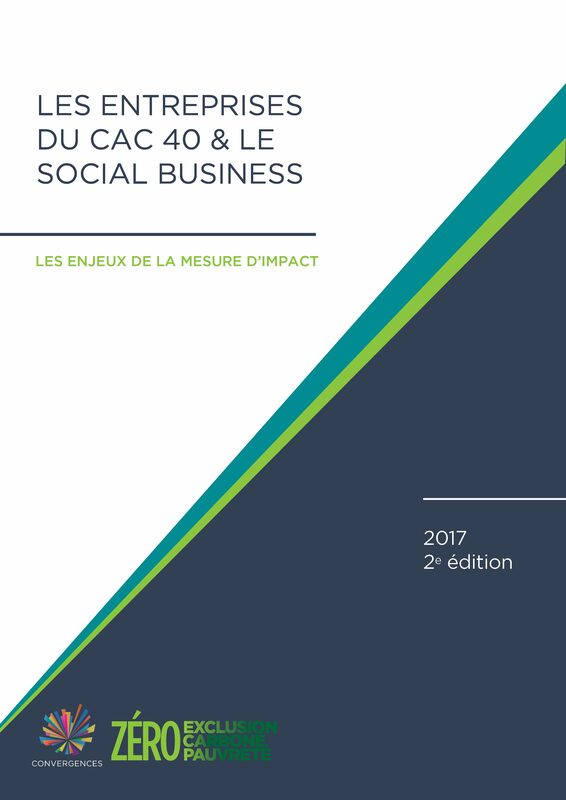 The 2014 survey is the first of a series of biannual surveys assessing CAC 40 companies’ activities in the field of social business, inclusive business, Bottom of the Pyramid strategies and every other impact driven initiatives. The survey shows the various ways in which French companies from the CAC 40 incorporate the social business model into their strategies. It also seeks a better understanding of the reasons why companies undertake social business projects and explores the development prospects of the sector. The 1st edition of the survey benefited from a strong press coverage in 2015 (BFM Business, L’Express, Les Echos, La Croix, RFI Spain) and caught unprecedented attention among Convergences‘ partners and stakeholders. Read the executive summary (in English).